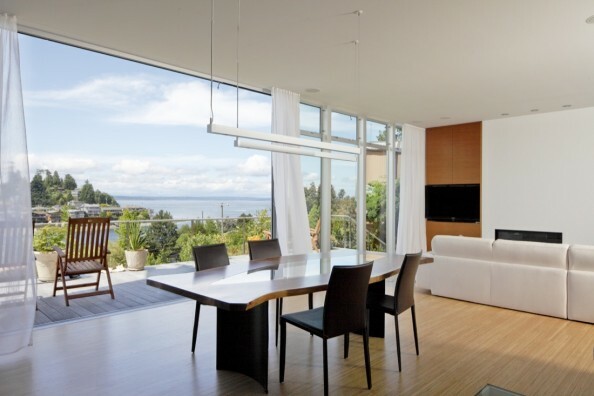 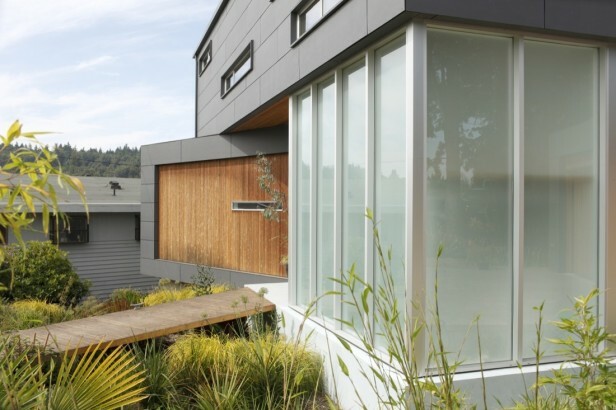 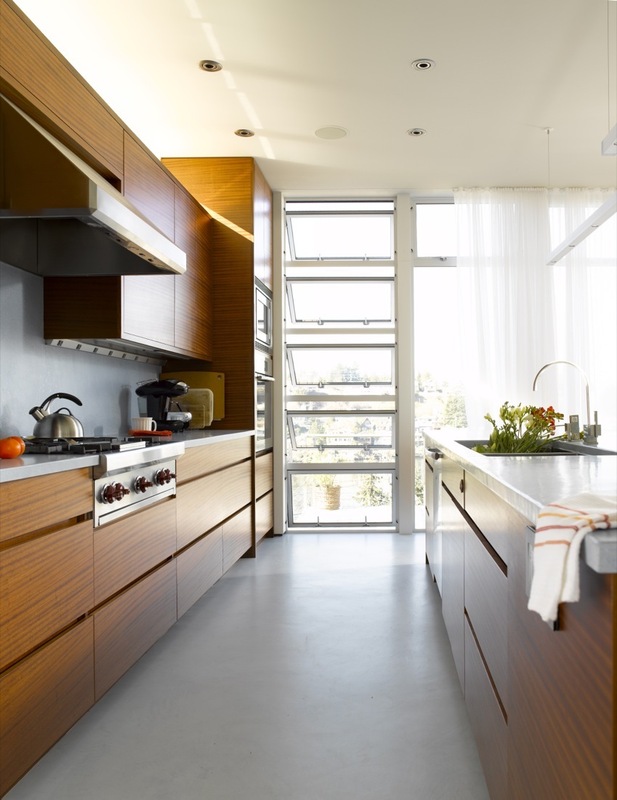 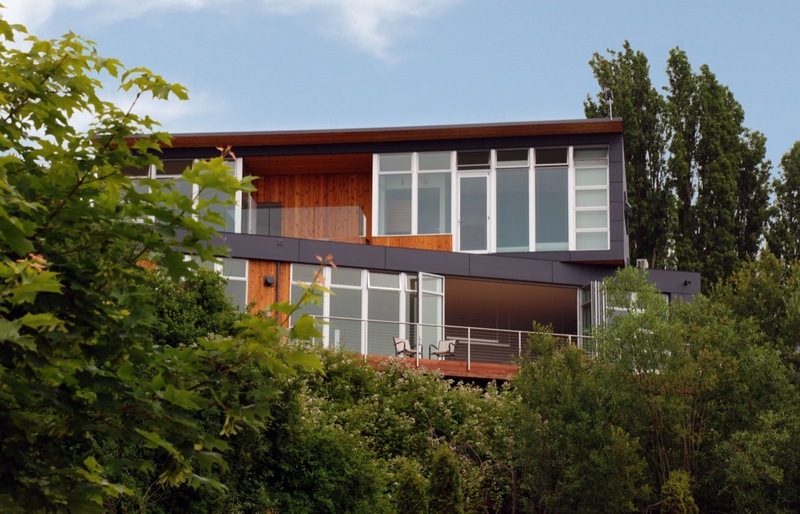 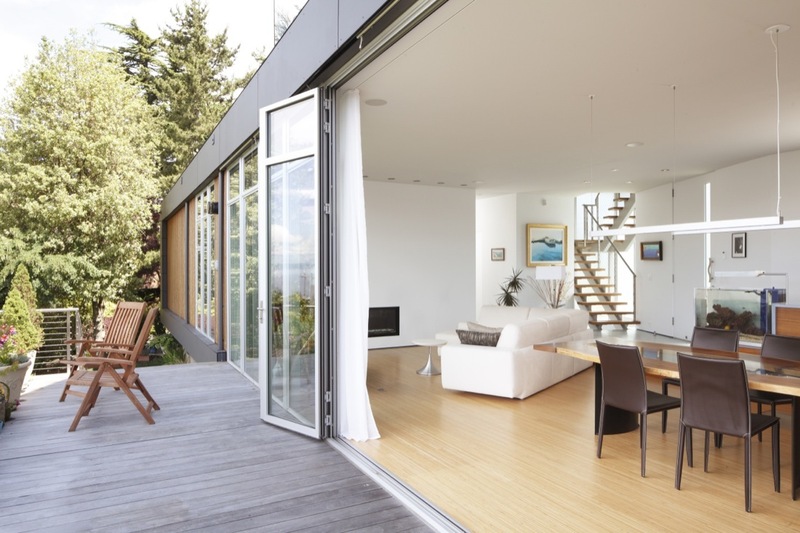 Designed back in 2009 by Prentiss Architects, Ballard Cut is a modern contemporary family residence in Seattle, Washington. 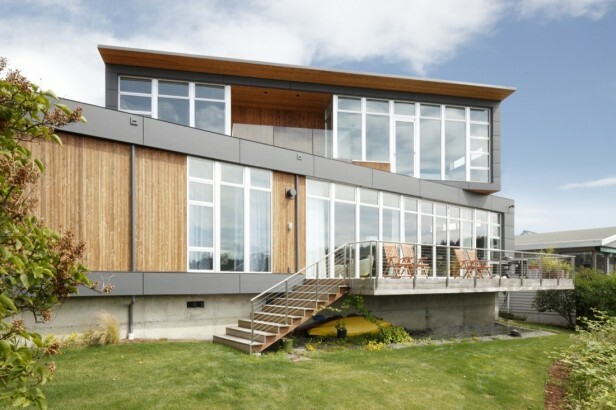 After having resided on a boat for 14 years, the client’s desire to make the transition to dry land was integral in the designing of the property and can be seen immediately in the raised first floor of the property which, when accessed by board walk, gives the appearance that the house is “floating” above the surrounding yard. 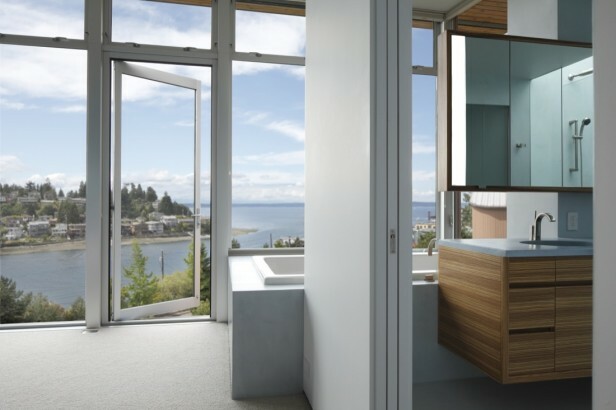 The location of Ballard Cut in the Ballard neighborhood of Seattle is a prime one and gives stunning views of the Sound and Olympic Mountains; thankfully, Prentiss Architects have paid special attention to achieving views of the surroundings. Hampered by the site (which has a steep slope to the west and railroad easement to the east), the architects were given little choice in where the main floor of the property could be located, instead using a canted second floor, rotated on an axis to achieve views of the afore mentioned surroundings from the bathroom, bedroom and office. The second floor position also allows for access to roof garden. The west elevation of the property is mostly glazed, giving the home a modern, bright, and open feel and allowing access to the views. The east side, on the other hand, is hindered by noise from the railroad, giving the architects little choice other than to create a wall with few openings, acting as both a sound barrier interior insulation. A minimalistic theme is very apparent throughout the property, with inexpensive materials used for economy. 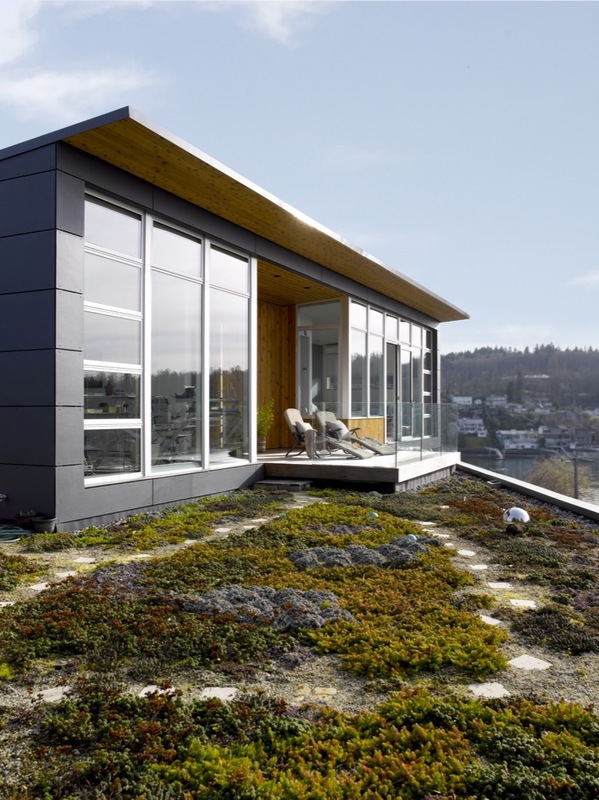 The use of low-cost concrete fibre board works well on exterior surfaces and is complemented well by the use of tight-knot cedar in favor of the more expensive clear alternative. 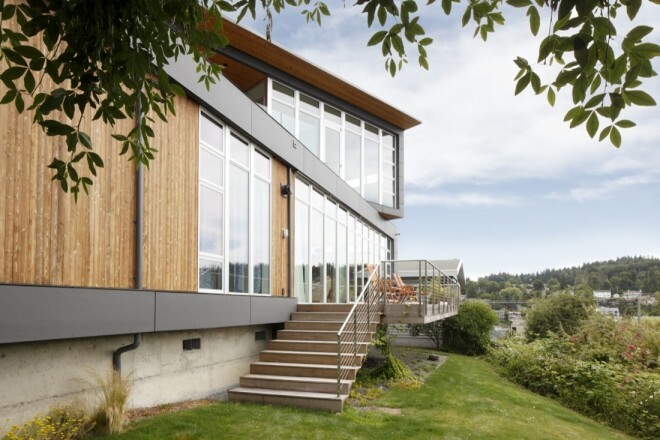 The economical overlook can also be seen in the use of aluminum nail-fin windows and break shapes instead of a curtain-wall system, although it has to be said that, like the overall project, the results here are no less impressive.